Galantis, Basement Jaxx (DJ) and Eli & Fur are among the new wave of acts added to South West Four’s 2018 line-up. The London festival returns to Clapham Common for its 15th outing on Saturday August 25th and Sunday 26th. More names added to Saturday’s bill include Icarus (Live), Detlef b2b Latmun and Will Clarke. Names added to Sunday’s line-up include Fine Art, Sam Divine, Flux Pavillion and Toddla-T b2b Redlight. Armin van Buuren will be headlining the indoor mainstage on the Saturday night while DJ EZ will headline on Sunday. 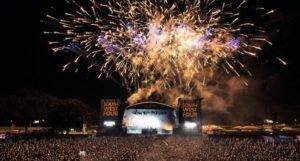 Marshmello and Chase & Status will also play headline slots while more names featured on the list include Armand Van Helden, Dillon Francis and Hannah Wants. Acts will play across ten carefully curated stages spread across the festival’s grounds. Take a look at the full list of names added to this very special weekender below. You can also watch the aftermovie for SW4 2017 below to get yourself in the mood. For more info and tickets visit SW4’s website.